The Centre for Philosophy, Ethics and Religion invites you to a high-profile academic discussion about the political role of universities in contemporary society. The discussion will be chaired by Václav Štětka (Loughborough University). To guarantee the flow of the debate, please send us your questions to the speakers in advance, either via Facebook or by sending an e-mail to matej.cibik@ff.cuni.cz. The deadline for sending questions is Tuesday, March 20, 19:00. Submitted questions can be either in Czech or in English. We thank you for all your contributions! Universities are nowadays in an ambivalent position. On one hand, they seem to be very successful: there has never been so many of them, they cover a vast field of subjects and the proportion of population entering university has never been higher. On the other hand, the role of experts and academics is ruthlessly undermined in the public sphere and universities feel that they are under increasing pressure to justify their place in society. Yet while the question of academic or social role of universities (the moral role of higher education was abandoned long time ago) is reasonably well-covered, we want to open a new topic – their political role. The political role of universities plays a big part in several contemporary controversies. The discussions concerning the curriculum of US colleges back in the seventies and eighties or the contemporary struggle of several academic institutions in Central and Eastern Europe to keep their independence are just two possible examples. 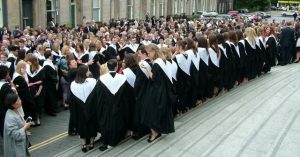 So what can the political role of university be? We do not want to equate the political with the social or the public. Therefore, we do want to look for a specific role of universities in contemporary politics. Perhaps there is none, and there should be no such role. Or perhaps universities are vital for the preservation of liberal democracies. Whatever will be the outcome, we believe that discussion on topic is crucial in contemporary political environment. Therefore, we would like to invite you to the following discussion. This occasion is the first one in a series of academic discussions organized by the Centre for Philosophy, Ethics and Religion at the Faculty of Arts, Charles University. The Centre will organize up to three discussions each year. This event was supported by the European Regional Development Fund-Project “Creativity and Adaptability as Conditions of the Success of Europe in an Interrelated World” (No. CZ.02.1.01/0.0/0.0/16_019/0000734). Úvod > Events > Political role of universities?